While Dwarfs as a race are resistant to the mutating powers of Chaos, no race is completely immune. Far to the east in the wasteland between the Worlds Edge mountains and the domains of the Ogre kingdoms, lies the Plain of Zharr a desolate lava strewn region that is the home of the Chaos Dwarf ziggurat cities. The Chaos Dwarfs are slavers and artificers to the warriors of chaos, ruled by the ancient and evil Sorcerers that live at the pinnacle of Zharr Naggrund. Many believe them to be the creators of the Black Orcs and they use an array of greenskins as fodder for their slave raids and armies of vengeance, as the Dwarfs themselves are few in number, being the survivors of only a handful of once loyal Dwarven holds that were corrupted sometime after the sundering. All Chaos Dwarfs worship the bull headed god Hashut and serve the will of the Sorceror lords, that are slowly turning to stone to line the road of sorcerors in Naggrund. It is the worship of Hashut that makes the Bull centaurs and the mounts of the lords (The great taurus and Lammassu) so special as they are revered as facets of the bull god. Unfortunately for budding Chaos Dwarf generals, the army has been unsupported for a very long time and all of the original models are rare and expensive; added to that they look their age. 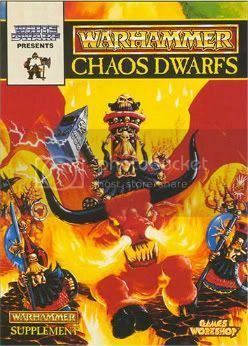 The first Chaos Dwarf army book was unfortunately a White Dwarf list so wasn't that good compared to its counterparts. The range of models was also limited and as an effect it never really took off as a viable race so was phased out with only occasional references in other peoples fluff to tantalise the diehard Chaos Dwarf fans. On the plus side with the release of Battle for Skull Pass, many more people have managed to convert all the models in the box into one viable chaos dwarf army, which is helped further by the improved plastics in the Chaos, Dwarf and Orc and Goblin plastic ranges. Even though the Big hat/Assyrian look Vs the more modern Steampunk look debate still rages. The army as a whole can be fairly easily converted (With the exeption of the bull centaurs and the 2 fliers). Chaos Dwarfs, despite their lack of an update and meaningful magic items are still a competative army and work best when you use their area denial based weaponry to its best effect, such as Blunderbusses and the Earth Shaker Cannon. The main combat units are just basic Dwarfs with a few upgrade options, The only unique option is the Blunderbuss which is excellent against horde armies. The other option is Hobgoblins, which are a bare step up from normal goblins but have a few disadvantages over goblins, such as paying twice their basic cost for a shortbow and expensive command groups. However they can be mounted on wolves and are still light cavalry even when fully equipped. For specials they can choose to take Orc Boys and Gobbos from the current army book, including Big uns, and may also take 1 unit of Black orcs. They also can take multiple bolt throwers and the less than reliable Death Rocket (a modified stone thrower), as well as Sneaky Gits (think gobbos with poisoned attacks and 2 hand weapons). There are only two rare choices, the first and most dangerous is Bull Centaurs. Imagine Dwarven cavalry with relatively cheap command groups! The second option is the Earthshaker, which is basically a stonethrower that after it hits causes penalties to movement and shooting over a large area. I left Characters until last as they mainly fall into the generic Lord/ Sorcerer categories. Though there are bull centaur lords/heroes and a Hobgoblin hero none of which are game winners on their own, but the majority have Ld 10 which is great when mixed with Orcs and gobbo's. What stands out is the Bull Taurus which causes terror, flies and is immune to firebased attacks.It also has good stats, not so good as the Lammasu, but it does give magic resistance 2. If you want a cheap easy army then perhaps Chaos Dwarfs are not a best first choice. With the army being unsupported for a long time and only having a limited range of expensive collectors models, Chaos Dwarf armies are not cheap. For most Chaos Dwarf generals the option to buy an all classic model army is just too expensive, this is where the Battle for Skull Pass set comes in. It is quite possible to convert a relatively cheap Chaos Dwarf army from the Battle for Skull Pass dwarf models. However it will take a lot of effort and some models in the range will require a great deal of skill to produce a good alternative. While the list on paper seems one of the weaker armies out there, strangely the combination of Dwarf stubbornness and leadership, the power of the Orc and Goblin units available, with the added unfamiliarity of most opponents with the list is a powerful mix. This list does remarkably well against the top tier lists. Its main weakness is against Dwarf and Empire gunlines and strangely, Ogres, as the blunderbusses are really bad against multiple wound models. The best, and at the same time worst, thing about this army is the fact that most of the models need to be converted, so the army becomes very personal and the generals of Chaos Dwarfs tend to be fanatical. Find more info on Hand of Hashut or Chaos Dwarfs Online. Good luck! The High Elves are one of the oldest races and are the forbearers of all elves in the Warhammer World. Once the mightiest of all the races, they are now removed from the Old World and focus their efforts on the Winds of Magic from within their own borders. The High Elven continent of Ulthuan exists in its lonesome, far removed from the rest of the warring world. Here, the High Elves are able to practice their expertise in manipulating the winds of magic. Though a race in their twilight, they are masters at arms and present a formidable obstacle to any who seek to invade the shores of Ulthuan. Constantly being harassed by the nefarious Dark Elves to their North, as well as Orc and Goblin or Norse raids, the High Elves are not as isolated as they would hope. It is the High Elves that allow all other races to thrive without an incessant incursion of Chaos. Through great sacrifice, they have secured the winds of magic, keeping the forces of Chaos under some level of control. The first great war against Chaos was undertaken by the High Elves, and Aenarion, their first great Phoenix King. Through his tragic sacrifice, he helped the High Elves repel a massive Chaos horde intent on destroying any and all civilization in the Warhammer World while a group of the greatest mages to have set foot in Ulthuan sacrificed themselves for the good of all. Since the sundering of the High Elves, their numbers have been far fewer than in centuries past. Despite their lessened population, they constantly strive for perfection of arms, magic, and culture. The High Elves are marvelous craftsmen, musicians, artisans, and so forth. Each elf dedicates his life to the mastery of his profession, and each elf is also part of the Citizen Levy where it is their duty to aid in the defence of Ulthuan should the need arise. Ulthuan is comprised of a number of different regions within the Isle of Ulthuan. From the heavily wooded lands of Chrace, the great forests of Avelorn, to the Channel at Lothern, these regions each possess their own High Elven culture, though all will rise to the call of battle in defence of their homeland. The High Elf army is composed of expert fighters, each with the duty to protect Ulthuan at home or abroad. Each unit has a purpose within the grand scheme of the High Elf’s Levy, and when working together they make a nigh impenetrable force. The look of the High Elves is quite definitive. They emphasize clean-cut uniforms, polished metal armour, and delicate finery for their forces. They are called “pointy hats” for a reason: they typically go to war with beautifully crafted high-crowned helmets. The High Elves present a very clean and pure looking army, with a select number of bright colours for their finery. High Elven infantry look fantastic on the battlefield. If given a common paint scheme, they create a very uniform, clean and pure force. Conversely, if each unit is under a different scheme, they can reflect their differing status amongst the High Elf army or their differing heraldry from the various provinces of Ulthuan. All High Elf core units are sold in plastic, and are cheap and easy to assemble. Even the Elven dragon is plastic and is simple to assemble. However, the bulk of the army lies in its Special Units, which tend to be metal and more expensive. Most of the Characters are metals, as well. These models are often easy to assemble and, in most cases, won’t require pinning joints in place. The High Elves are an elite force, and this is reflected throughout their army. The first major difference between the High Elves and the other races is that the High Elves are granted an army-wide rule granting Always Strikes First. This means that the High Elven spear elves may strike before a unit of charging knights’ lances strike home! Though always striking first would seem broken, do remember that this rule significantly increases the individual model costs, meaning the High Elves will likely be outnumbered in battle. As such, the High Elves must rely upon their greater skill to lead them to victory. The High Elven core units are strong, but the true strength of the High Elves comes from their elite units. To this end they can field more Special Units than just about any other army in Warhammer Fantasy. The Special Units of the High Elves are quite diverse and each can be used to respond to certain situations that may arise on the field of battle. -Does the enemy have a monster that is causing problems? Send some White Lions in to stop it! -Is that horde of Goblins wreaking havoc on your boarders? Let them feel the might of the Swordmasters of Hoeth. -Gunlines proving a problem? Let some Ellyrian Reavers tie them up in combat. -Undead heavy units throwing your units around? Let the Phoenix Guard’s grim fortitude end their spree. The High Elves can also host a variety of different armies. These can be themed around one of the provinces of Ulthuan, or can focus on cavalry, for instance. Because of each unit’s great skills and prowess, they can often triumph in overwhelming odds. Here is a list of the available units within the High Elf army. Each unit has a short description included. Tyrion is a fighter with few of comparable skill and a general without peer. He can take the most horrendous of blows and still find victory, and can shatter lines in his own right. Teclis is the greatest living mage in the entire world. He casts IF on doubles, negates one miscast per turn… he’s just phenomenal in the magic phase. In CC, however, he is dead meat. An interesting combination of Warrior and Mage, Eltharion gives the best of both phases and even has a bow for the shooting phase. He’s best at plowing through weak units, and is decent in a challenge. Named “The Shadow King” for a reason, he is a scout of great skill. His bow acts like a Bolt Thrower, and is difficult to defeat in combat. Born leaders and exemplars of the High Elven arrogance, they are powerful in combat. Let them lead your elite units to battle for their added fighting prowess and leadership. Powerful mages who can be given a plethora of gear to make them nigh unstoppable in the Magic Phase. Try the Book of Hoeth for amazing effect! Though he can be used as a “Suicide Bomber” since he can go up against the greatest of Lords and take them down no matter what, he is even more effective leading a unit of White Lions or Swordmasters. Who’d have thought it? Korhil can hack the biggest, scariest monsters the enemy can muster. He strangled a Chaos-infused White Lion with his bare hands… He is capable of leading any unit to victory. KB is an added bonus. Potent in combat and capable of carrying the Army Battle Standard, they are an indispensable model for any army. Basic mage. All HE mages confer a +1 to dispel attempts just for being on the battlefield. Because of these guys, you can now field two dragons in a 2000pt game. Yeah, you heard right. And the mage himself is something to be respected… he generates a bonus die for every cast. These guys can put some armies’ Special units to shame. The cheapest units the HE have, they are not to be taken lightly. WS4 core archers that can rain down the hurt on the enemy from a good distance. They combine the best traits of the Spear Elves with the Archers in one unit: the have both bows and spears. A very versatile, but expensive, unit. There is a distinct reason these High Elves are feared by many armies: they can do massive damage to any unit in all of Warhammer. They are incredibly weak to missile fire, however. Incredibly tough to take down, even by the nastiest unit any army can muster (and they may never die to boot). They rarely manage to run from combat and work wonders against fear-causing enemies since they cause fear themselves. Extreme attack power and superior holding ability from being Stubborn. If monsters cause you problems, let the White Lions end it. Fast cavalry that can be armed with both bows and spears. They are versatile and capable of weakening your foes before they even make it to your main force. Cheap Heavy Cavalry that can do some decent damage on a charge. Significantly better than the Silver Helms, but more expensive. They can make your opponents shake in their boots. Cheap but effective High Elf chariot from Tiranoc. They have bows and spears, so are effective on a charge and before one, too. Fear causing, White Lion powered chariot. The fluff may not support its existence, but it’s Awesome Incarnate. The flanks of your opponent will need to be heavy to shed away this chariot’s ferocious charge. The scouts of the High Elves. Decent in combat and in the Shooting Phase. They make excellent March Blockers and disrupting units. A War Machine that will never misfire and has excellent chances of hitting its mark, this thing is a threat to all comers. It is typically recommended to take at least a pair of these. Perhaps the best March Blocking, War Machine and Mage hunting models around, they can even be used to protect your flanks. Don’t expect them to be monsters in combat, but let them guarantee a headache for your opponent. The best way to save money in Games Workshop is to shop online. eBay is often considered a prime place to visit for the thrifty gamers. However, it is a noble deed to go out and support your local hobby store. Often times, they will have all the right gear at a reasonable price. One thing to consider is that, since the High Elves’ models cost a fair bit of points a piece; your army will have considerably fewer models in it than other armies may. This means that your army will have fewer models to buy, assemble and paint than other armies. Hence, you’ll spend less time and money preparing an army than you might otherwise have to. The High Elves are a host to the Warhammer World’s most elite forces and are rightfully the guardians of all that is good. Through their sacrifice, the forces of Chaos are held at bay, if only for the moment. But with their skill, they keep back the tides of evil from their shores. It is only a short time before they regain their foothold in the world and begin to relinquish their Kingdom from generations past. The High Elves have been said to be a decent starting army for a variety of reasons. They Always Strike First, they have a variety of units and builds, and they aren’t too expensive to start. They are fairly simple to paint and convert, unless you have loftier goals than just a simple dry brushing and inking. For more help and advice specifically related to the High Elves, you can visit www.ulthuan.net. Skaven dwell in their “underempire” below the surface of the Old World, waiting for the right time to swarm out of their tunnels like an unstoppable horde and overwhelm the surface lands. Skaven are split amongst a number of clans, and these found the base of their society. These Clans more or less constantly battle each other for dominance both on battlefields but assassinations and poisoning is also widely common. As a direct result of this all Skaven are deeply paranoid and utterly selfish, caring only for personal gain. When a Clan loses too much of its influence the other Clans will fall upon it like wolves on a wounded prey, and the survivors of the crushed Clan will spend their remaining lives as slaves under one of the attacking Clans. The real members of a Clan are called Clanrats, strong and cunning individuals who follow the Clan's Warlord, the head honcho rat of the Clan. The Warlord is a ruthless individual whom has gained his position trough murders, strategically broken pacts and other kinds of backstabbing, and is almost always looking after his own tail to keep safe from sneaky underlings trying to steal his position. The philosophy of killing yourself upwards is the Skaven way, and is both deeply rooted and respected amongst the race. More or less all members of a Clan plot for personal gain, whilst they also watch their backs from aspiring members under them in the society. 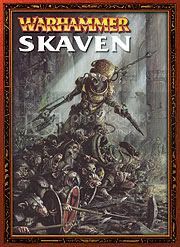 Clan Skryre, Clan Eshin, Clan Pestilence and Clan Moulder are the 4 greatest Clans in the Skaven underempire with Skryre as the top one, and they have more then once united against an upcoming Clan to make sure things stay that way. The current upcoming Clan is Clan Mors, ruled by Warlord Gnawdwell, and they might very well be the next Clan to feel the wrath of the 4 major Clans. The Skaven Empire is ruled by “The Council of Thirteen” which consists of 11 Warlords from the most important Clans, the Seerlord whom is the most powerful Grey Seer, and the thirteenth place is filled symbolically by the Horned Rat Himself, the Skaven-god. The purpose of this council is to unite the Skaven race and guide them towards a common goal. This however is most likely never happening. All members of the Council are extremely paranoid and spend more time watching their backs and plotting then guiding their race. It is rumoured that if the Skaven managed to unite for a common cause they would overwhelm the world with their vast numbers. Skaven are based around Clanrats as their main army units, and these are plastic models which come 20 in each box. These models can also be used to make Slaves, another important unit for the Skaven gameplay. Plague Monks are also plastic regiments, and so are Rat Ogres the Skaven equivalent of Ogres/Trolls/etc. Their last plastic regiment is the Night Runners box which will produce skirmishing ninja-rats for the army. The Elite Stormvermins are metal models however, and so are all the warpstone based weaponry the army has access to: Ratling guns, Warpfire Throwers, Poison Wind Globadiers, Jezzail Teams, Warp-lightning Cannons, Plague Censer Bearers. Characters are also metal models. It is rumoured that at least Stormvermin will become plastic regiments when the new book hits the shelves, but this is as said a rumour so far. All entries in the list have models, and all are from 6th edition when the book was written, so they are up to date and functional. Skaven preform different from many other armies on the field of battle. The most profound difference is the “life is cheap” rule which allows the Skaven player to shoot into Close Combat. You basically pick a target unit and shoot away and randomize hits amongst the target and all other things in that Close Combat. As all Skavens are cowardly beings they flee better then normal units, Skaven units adds +1 to their Flee rolls. Skaven leaders have an even bigger spin of from this called “Lead from the Back”. Skaven Characters will continue to give LD bonuses when standing in the rearmost rank, as will a BSB do, the rearmost rank is considered a place of honour amongst the Skaven! A character in the last rank of an ongoing combat can, at the start of his movement phase chose to either stay there, move to the fighting rank or leave the unit just like it was not engaged in CC. Furthermore the Skaven player can choose which of his models refuse Challenges, unlike the normal rules. Strength in numbers is a general Skaven philosophy, and is in game represented by the fact that Skaven units add their ranks to their LD values, up to a maximum of +3. All Skaven weapons either shooting warpstone shots, or weapons coated with warpstone poisons counts as magical attacks and can thereby damage units immune to non magical attacks. Warlords are the leaders of a Clan, a strong and selfish individual whom is the best general a Skaven army can field. Their fighting prowess equal human Lords but with higher Initiative but lower Leadership. These individuals have LD7 which is the single highest number in the army. Grey Seers are the servants of the Horned Rat, level 4 Wizards who cast spells granted by their patron god. Skaven spells are destructive, but takes little care about the health of the caster. Grey Seers can chose to ride a Doombell into battle, pulled by a unit of Clanrats or Stormvermin. The Bell works as a Chariot and bestows a bunch of boons to the unit pulling it and the Grey Seer riding it. It does also come with a “Striker” whom can chose to “ring the bell” in the Skaven shooting phase with a vast amount of beneficial results, at lower results it generally only boosts the unit pushing the Bell, but higher numbers can affect the whole army! Chieftains are hero level fighters, and if the Skaven player wants to include a BSB it will be a Chieftain carrying it into battle. Chieftains equal human heroes in fighting terms. Plague Priests are heroes from Clan Pestilence. Tougher then Chieftains but slower these Frenzied heroes have access to Plague Censers and “Clan Pestilence Only” magic items. Master Moulders are heroes from Clan Moulder. These heroes have the “Beastmaster” special rule which allows all Clan Moulder units within 6 of him to reroll failed psychology tests. He also has access to Clan Moulder restricted items. Warplock Engineers are Clan Scryre wannabe wizards who can cast the spell “Warplightning” trough warpstone powered equipment. Warplock Engineers are unique in the way that they can only have one spell which you buy for him. Fully upgraded they roughly equival a level 2 wizard with 1 spell. Assassins are the Clan Eshin heroes and the last available hero option in Skaven armies. They have poisoned weapons, and always start the game hidden within a unit. Assassins have superior Leadership compared to all other Skaven, but just like their Dark Elf equivalents their leadership cant be used by others. Clanrats are the “Mainstay unit” in the Skaven army. For each unit of Clanrats you include in the army you can include one unit of most other sorts in the army. In order to field 2 units of one kind you must first include 2 units of Clanrats. Clanrats are about even fighters with Empire troops but faster. They can also have a weapon team attached to them which can either be a “Warpfire Thrower” or a “Ratling gun”. Stormvermin are the Elite units in the Skaven army. Equipped with the best armour and armed with Halberds they are the best fighting units the Skaven army can field. Rat Swarms are swarms that can be upgraded to have poisoned attacks. Giant Rats are packs of huge rats goaded into combat by Clan Moulder packmasters. These are bought in clumps of 6 rats and 1 packmaster and are even faster then Elves. Should all the packmasters in the unit die the Rats revert to compulsory movement. Night runners are skirmishing units of Clan Eshin rats that can be equipped with 3 different weapon options. These guys have better Leadership then most Skavens but lack the Strength in numbers due to their skirmishing. Slaves are the bottom level in the Skaven society. They are poor fighters and dirt cheap and don't cause panic to non slave units if they flee, in fact other Skavens expect the Slaves to run away! Poison Wind Globadiers are Clan Scryre units that throw glass orbs with poisonous gas inside them at the enemy, against which normal armours don't help. Gutter Runners are veteran Night runners Better on everything then their Clansmen they have access to warpstone based poison for their weapons, and can also be upgraded to tunnelling teams which will dig themselves onto the battlefields with mixed results. A character will never join a team entering battle from tunnels, far to many things can go wrong on those suicide missions! Warplock Jezzails are big rifles shooting Warpstonebased bullets with awesome stopping power, they are also amongst the most reliable weapons that Clan Scryre produce. This however only means that its a smaller chance that they explode, not that they are completely safe! Plague Monks are the footsoldiers of Clan Pestilence. Frenzied monks with great resilience that give the Skaven army some punch in Close Combat against fear-causing armies like undeads. Rat Ogres are the crown jewel of Clan Moulders warpstone mutations and equal Trolls statwise. Each Rat Ogre comes with a packmaster behind him, pointing him into battle from behind. Should all packmasters be slain the Rat Ogres will suffer from stupidity just like Trolls. Plague Censer Bearers can be bought one unit for each unit of Plague Monks in the army, and must always start the game within 3” of them and remain so until their first charge. Plague Censer Bearers hates all enemies and have huge flails that emit poisonous gas in combat. The Bearers themselves have masks to protect them from the gas, but not even themselves are completely immune to the gas's effects. Warp-lightning Cannons are the last entry in the Skaven armylist. A weird warpstone based contraption, similar to a cannon in many ways but with a much more random effect. The weapon and crew follows the rules for chariots and will always flee if charged. Each time the Warp-lightning Cannon is fired you randomize its strength and how far it shoots. Stormvermin can be made from Clanrats with some imagination and green stuff. Slave regiments can include non-Skaven models to represent captured members of other races from some raid on a settlement or surrendering survivors from a battle lost against the Skavens. Warp-lightning Cannons can be made from other artillery weapons, all Clan Scryre weapons are at least a bit experimental which opens for conversions. The brunt of the army however is its regiments. Lots and lots and lots of big blocks of infantry is the true strength of the Skaven army, and this will naturally not be cheap. The Skaven army is a very colourful army of selfish and cowardly individuals with lots of highly dangerous weapons. These weapons are commonly also fatal to its users, which can generate lots of surprise incidents. The Skaven gameplay contains lots of sacrificing and fun elements like shooting your own Slaves to bits to maybe kill one of the Kroxigors they are fighting. The bane of the Skaven army is massed psychology tests. The units around your general can have up to LD10 with a Warlord, sadly its very hard to fit the whole army within his LD bubble. Once upon a time, on an island far, far away the elves lived a lovely, peaceful, fairytale existence... but then chaos entered the world. Almost destroying the entire world in its madness it was only the might of Aenarion The Defender (the first Phoenix King) and his friend the archmage Caledor Dragontamer that saved the elves from destruction. Aenarion was mighty beyond all other elves and was a good and noble king, but he and his bloodline were cursed by Khaine, god of murder (from a bargain for power). After his death the Phoenix Thrown was expected to go to his son, Malekith, the greatest general, explorer and expansionist of the elven race, but the council feared the curse of his bloodline and gave the crown to Bel-Shanaar. This led to a schism that formed the basis of the split between High Elves and Dark elves and the start of the elven civil war (called the Sundering). Fearing their dark brethren the High Elves recalled their colonies from the new lands (The Old World- the lands eventually controlled by the Bretoninans and the Empire), but many of these elves no longer say Ulthuan as home, and chose to stay in their colony homes. Fighting an ever greater number of enemies these colonials were pushed towards the forests for shelter, and one such group found themselves on the edges of the much feared Athel Loren: an enormous forest from which no elf had ever returned. The forest opposed the entry of the elves, fighting them at every turn but an invasion of dwarves soon found the elves and the forest forced into an alliance of convenience. So were born the Wood Elves. Wood Elves are isolationist in the extreme and will not suffer any to enter their forest except in extreme circumstances. While kin to high Elves they see their island brothers as decadent and snooty, and will only ally with them under extreme duress. Closer links are held with the men of Bretonnia, but these alliances of convenience are entirely by choice of the Wood Elves and somewhat strained by the death of any messenger or questing knight that tries to enter the Athel Loren. 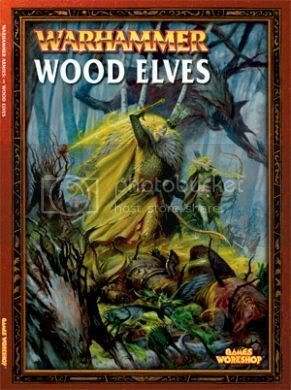 The racial enemies of the Wood Elves are the dwarves who live in mountain fast-hoods above the forest and who look to raid the forest for materials and to avenge age old grudges and the dark Beastmen who bring their chaotic taint into the forests and destroy their soul, along with the native creatures. If Wood Elves were a baby the CPS would have moved in to halt their neglect at the hands of GW. However, the models that they do have are almost universally awesome, although they have a much lower proportion of plastic models then other armies, meaning they can be a very expensive army to collect. For core the glade guard and dryads are fantastic models, easily collected in large numbers by buying the battalion. Eternal Guard are another common choice for core, although being entirely metal makes them incredibly expensive to collect in the required numbers. Special/Rare options are universally expensive, but due to an outdated ruleset many of them are simply not competitive anymore. Most successful WE armies revolve around large numbers of core, with relatively few of the expensive elites. There are 2 sides to a WE army: elves and tree spirits. Running fluffy armies based around 1 of these 2 factions used to be give you fairly nice armies but with the various rules changes since the writing of the WE army book this is sadly no longer true: a mono-tree list lacks the ability to break large infantry blocks while a mono-elf list lacks for effective, cheap combat units and 'hammer' units. Generally there are 2 types of WE army currently seen: the ranged army that relies on large numbers of glade guard backed up by small units of dryads and eagles or the hammer and anvil army of a large block of core eternal guard with a lv4 lore of life spellweaver (the anvil) backed up by a unit of treekin (the hammer). Highborn- normally tooled to be archers highborns lack the survivability to be in the front lines of combat for long, but don't let that fool you, with access to the common magic items highborns can be lethal at whatever their chosen role is. Spellweaver - with access to the lores of life and beasts it is the weavers that are the magical powerhouses of any WE army. Treeman Ancient - huge walking trees, what's not to like. They have Ld9 which, as the general, will extend to all models within 18" they can also take sprites, setting them apart from their treeman kin. The most regular build sees them take An Annoyance of Netlings, making them all but undefeatable in a challenge. Noble - cheaper then a highborn with lots of options. With the option of the cheapest BSB of any army in fantasy there is simply no reason not to upgrade a noble with one. Spellsinger - sadly stuck with the terrible lore of Athel Loren singers are really crying out for a new WE army book. Some of their spells can be fantastic, but most of the lore is very task-specific. These guys will mostly only be seen as magical defence for armies unable to fit a spellweaver. Branchwraith - A nice cheap hero, but not vastly better then a standard dryad. The biggest advantage of the branchwraith is its ability to take sprites, with the ever popular Annoyance of Netlings and Cluster of Radiants being fairly standard equipment. Able to upgrade to a mage the huge points cost and sole access to Athel Loren make this a pretty poor option. Glade Guard/Scouts - Glade Guard are the best ranged units in the game; able to move and shoot effectively, kill enemies over very long ranges but with S4 at closer ranges to utterly smash opponents that get close. They are one of the best units in the game and a joy to use. The same can't be said of scouts: more expensive then standard glade guard and sacrificing their S4 shooting means that scouts are pretty rubbish. Glade Riders - Superb distraction units and excellent war machine hunters they suffer from lack of armour and very low offensive capability. Dryads - excellent stats are undone by being skirmishers. Used in small units of 10-12 dryads are superb at harrying the enemy and slowing their advance. Get them into woods and they change from being good, to being utterly amasing: woods give skirmishers steadfast while removing it from ranked up units, meaning that dryads can then very easily tarpit very strong units while they can break weaker infantry units. Eternal Guard - only usually seen as core choices in an army lead by a highborn as a large unit 50+ strong with a 5++ ward save (magic item) and a spellweaver with lore of life buffing their defences. Eternal Guard are an all or nothing choice: build your whole army around them or drop them, there is no real centre ground. Wardancers - An excellent unit that has aged very badly, especially with the release of 8th edition. These guys can no longer operate in the heart of the battle like they used to, instead being relegated to flankers, fighting off other small units or harrying the flanks of larger units. Utterly stunning models make these a painters dream. Warhawk Riders - highly fragile and low damage output means they only really shine at distraction and war machine hunting. A useful unit to have on the table, but not one that'll win you the game. Wild Riders - while they are the strongest light cavalry in the game they are certainly not heavy cavalry... which is unfortunate as they is the role they find themselves in. Useful flankers but low survivability robs them of much of their effectiveness. Treekin - the best offensive units in the book. While expensive treekin are undeniably excellent at destroying the enemy. if you are looking for something to smash through enemy units this is pretty much your onyl choice. Waywatchers- lack of heavy cavalry and mounted characters in 8th has robbed waywatchers of most of their effectiveness, but they are a good psychological tool for forcing opponents to hide characters away from them and make good warmachine hunters (in combat). A decent unit, but not spectacular. Treemen - A mighty monster with good saves... a strong addition at any army, just watch out for dwarven flaming cannonballs. Great Eagles - the hidden gems of elven armies. Eagles cannot be rated highly enough: they are excellent war machine hunters, superb at killing enemy flanking units, cheap enough to sacrifice when slowing the enemy advance is needed and can always be thrown into the flank/rear of an ongoing combat to help with combat res. Take as many eagles as you can, you'll not regret it. Your army will have considerably fewer models in it than a number of other armies, but the amount of metal models means it still wont be cheap. A fantastic way to save money on wild riders is to convert glade riders, either making them centaurs or just adding armour and spears. Treekin and treemen can be sculpted or built out of sprue, or even made from garden sticks! It is possible to make plastic Eternal Guard from the Glade Guard and High Elf spearmen. Most importantly, consider your army before you buy it, all Wood Elf players should consider buying the Battalion box as it is fantastic deal for what you get from it. A difficult army to learn and play well, Wood Elves rely on good tactics and mobility rather then the brute force seen in other armies. Outdated rules can see them lacking power from time to time but they have the versatility to get round this. A poor wood elf player will be beaten time and time again, while a good wood elf player will have most opponents scratching their heads wondering just how they can be beaten. NOT and army I would recommend for a beginner but a hugely rewarding army for anyone looking for a challenge or wanting a change from the standard infantry vs infantry battles seen from most other armies. For more help and advice specifically related to the Wood Elves, you can visit www.asrai.org. Last edited by Tim/Steve; 05-06-12 at 08:59 AM. Beastmen are the true children of chaos, created when the chaos gates crashed to earth, they have roamed the world for millennia. Though products of chaos, they do not feel the need to worship one god or pantheon, as they embody the spirit of chaos and their actions give rise to it. Beastmen are commonly depicted as goat headed humanoids, however away from the old world, they take on many forms; from wolf-men to tiger, their chaotic nature warps them to their surroundings. Having been in the world since the time of chaos, they view mankind as an intruder to their domain, a usurper. Beastmen wage a never ending war against civilization and will not rest until it is razed and the ashes are stomped under their cloven hooves. Starting a Beastman army can be very simple, finishing an army may take time. The Beastman Battalion box is viewed as a very solid purchase as everything in the battalion is useable and vital to a working Beastman army. With two or three of these, you can be ready to field your army in no time. Many Beastman models are older or non-existent, so finishing up your Beastman army can be expensive. There are numerous third parties that make Beastman monsters, and are easily found online. Many existing models are plastic and easily converted to suit your needs. Conversions abound in the Beastman community as they are seen as the result of the warping forces of chaos. Painting Beastmen is a rewarding task that can help your army stand out. From tribal paints, unique skin tones, banners and armor, the Beastman army is a very customizable army. Beastmen armies can be unpredictable for a foe and have many tricks up their sleeves. Beastmen core units have access to ‘Ambush’ and can potentially assault a foe from any side. Chariots, and naked savage beastmen make up their core forces. One can upgrade a champion to make the fast moving centigors part of their core army. Bloodthirsty Minotaurs , armored Bestigors, flocks of harpies and swift moving Razorgors make up their hard hitting ‘special’ forces. Beastmen have access to some of the biggest monsters in game, but seeing as their models are not yet made, they are rarely seen. Beastmen are a fast moving army, their strength lies in savage close combat. Beastmen rely heavily on “primal fury”; a leadership based hatred that can persist every round. They win fights through attrition and out maneuvering. The Beastman book is not too old, but was published before 8th edition came out. While it addresses many aspects of 8th edition, there are numerous parts of the book that are viewed as unfit for 8th edition. Beastmen armies are not common and will often surprise the opponent with their capabilities. They are viewed as an army for the underdogs. The Lords are the cornerstones of the Beastman army, the whole force relies on their Leadership and command. Beastlords have access to amazing mutations and unique army items and can be built as a ‘killer’ or more of a stalwart lord to support the unit. Great Bray Shamans can support the army or reign down destruction with their access to the lores: Wild, Death, Beast, Shadows. It is worth noting that Beastmen Shaman cast anything from the lore of Beasts on their own units with a bonus. Doombulls act as monstrous leaders and can share their ‘blood-greed’ frenzy with any unit they join. Beastmen heroes can be quite potent, from acting as brutes to supporting the main forces with withering magic. Wargors can be a potent Battle Standard Bearer, with access to mutations allowing them to carry a magic banner as well! Shaman are versatile, act well as a support to your main Shaman or even the ability to scout ahead of the army. Both Shaman and Wargors have access to chariots. Gorebull minotaurs can be a tough juggernaut of a battle standard bearer or an additional combat menace. Beastman core is a fast and Spartan core. The beastman army lacks notable armor, but makes up for it in savagery. Gors bring decent toughness and numerous attacks to the front lines and can hold against the most sturdy of foes. Ungors are inexpensive troops that have access to ‘hatred’ and viewed by many as the ‘elite cheap horde’. Beastmen can take chariots as core, adding their potential impact hits and armor to any army. Warhounds are used for their speed and flexibility. Centigors can even be made core with an upgrade. The typical ‘hammers’ of the beastmen army usually comes from the special section. Armored Bestigors can assault your foes with ranks of great weapons. Minotaurs, who have a potential for frenzy which grants them additional attacks for each combat won. Centigors can move swiftly across the field to tie up the enemy or harry their ranks. Razorgors provide a monstrous pig that can shrug off most enemy fire and race headlong into the fray. They can even pull a more sturdy and lethal chariot. Harpies are effective war-machine hunters and utilized by many Beastlords on the warpath. The rare selections for beastmen are all monsters in their own rights. The Ghorgon is a blade-limbed fiend that rampages across the field and can swallow enemies whole, healing itself. The Jabberslythe flies on wings of insanity and spreads madness wherever it goes and spreads its poison blood to those that would strike it. The Cygor is a stone throwing menace that hones in on magical creatures and wizards and shakes the nerve of the most seasoned caster. Chaos Spawns are solid for holding flanks, but their major downside is their random movement and are not as predictable as the other monsters. The Rare monsters are widely viewed as far too point heavy to put into most competitive play, but when they are seen in battle, it’s a horrible surprise. Beastmen have a fantastic “battalion” box and one can easily start an army from a few battalions. The battalions will have many extra bits and numerous units can be created out of them. Many gors can be made out of chaos marauders with just a few hooves or horns. Mutations mean that you have free reign with your army and get away with many appearances that others couldn’t. Beastmen are a versatile army and can act in many ways. From huge hordes of lethal opponents, ambushing units, fast moving chariots, hounds, razorgors, harpies , Hulking minotaurs wading into combat and slaughtering all to the gigantic rare monsters. Beastmen are viewed as an unforgiving army, there is not a lot of room for mistakes in a battle, and beastmen afford even less. They are viewed as a mid to low tiered army, but can surprise even the best forces. And of course they are loads of great images out there if you just have a poke about the net. Last edited by Tim/Steve; 04-15-11 at 05:11 PM. The Lizardmen are the Children Of The Gods. They were the first race created by the Old Ones. They have spent aeons being shaped by the will of the Old Ones. They have Mastered the Arts of Magic and Warfare. The Slann Mage-Priests are some of the most powerful magic users the world has ever known. They are not born like the warm blooded races but rather spawned in spawning pools deep below their tepmple cities. The Slann Mage-Priest spend a majority of their time in quiet contemplation of what the Old Ones' plans are. Skinks run the day to day operations of the temple cities as well as being artisans, scribes and personal servants to the Slann. Saurus are spawned for one purpose only: War. This includes the protection of the Lizardmen race and temple cities and the destruction of Chaos. Kroxigors are nothing but giant brutes used for heavy labour around the temple cites. The majority of the Lizardmen models are plastic except characters and a few monsters and mounts (Terradons, Salamanders, Kroxigors and Razordons). There has been one major remodelling of the Lizardmen models with big changes to the Skinks, Saurus and Slann. However, due to the natural look of the models and the variances in animals we see everyday, justifying a mix of the old models with the new ones in an army are not that much of a problem. Because of the distinct look of the Saurus there is not a lot of room for huge conversions, although subtle conversions to some of the larger models, especially the Slann, can be easily done if the proper bits are found or if one has decent skill working with green stuff. However, a quick bits here and there, one could easily have a hero just by using a standard plastic Saurus. Painting is pretty forgiving. Most models don’t have large flat surfaces so getting a smooth finish is not much of an issue. Most models can be easily and quickly completed with a basecoat, wash and highlight and look great up close. The army can work both as a solid army theme in terms of colour or as multi-hued random mix of colours. As long as the bases are kept to a certain theme a army of different coloured units will still look pretty good together. The newest Lizardmen book provides one of the most balanced army lists in the newest version of Warhammer Fantasy. An army can be built to fit almost any play style from full out magic to full out combat. The only thing a Lizardmen army lacks is long range shooting. Stegadons can take bows but they are expensive and inadequate to be considered useful at long range. The army plays very much like a combined force, although you can dish out some devastating heroes like a Slann or old blood, unlike other armies there is no one special, rare or character that will single handedly win you a game. The best bet for a competitive army is to have faith in your standard Saurus warriors who are one of the best point for point troops in the game, second only to Chaos warriors in effectiveness for the points cost. If you are looking for a easy one dimensional army you are looking in the wrong place. Although you can focus on one aspect of the game, a well rounded balanced Lizardmen army will do better than one focused on one specific phase. Cost wise the army is decent; the majority of your troops are plastic and are average GW prices. However Saurus are sold in sets of 16 which do not help when most people want to run them in blocks of 20, so you might have a few extra Saurus around which could be used to build Saurus heroes with some quick conversion work and a different colour scheme. Extra Temple Guard might be another good way to create some Saurus heroes. Other than that, most of the other models are pretty distinct which makes it hard to find cheaper alternatives, although the previous version of Lizardmen fit right with the newer ones and a look on ebay or online, one might be able to get a decent start on their army for cheap. Last thing, sit down and consider your lists before you go out and by models. 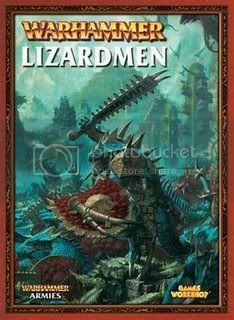 The Lizardmen army provides many cool units which seem great on paper but only fit into a certain play style or are really not that good. Planning properly will keep one from buying models which end up not being an effective part of the army. Another option is Ebay. Buying the old Lizardmen models will help immensely, especially when it comes to Saurus. Granted the old Saurus models look no where near as good as the new models, same with the older Skinks, but you can get large numbers for cheap to help start your army or flesh out your army on a budget. While they are not the newest models GW makes, they are GW models and as such are perfectly legal in any GW or GW sponsored tournaments. The Lizardmen army provides a balanced force which can fit almost any player’s style. A player will find that with a few small changes to the army it will play completely differently. This will keep things new and keep play from getting boring. Also the army can also be easily painted pretty quickly and can almost be done in any colour scheme imaginable, leaving things open to whatever look the player likes. This is not a beginner army, but it is a forgiving army if you do make a few mistakes. Overall it is a very good army to consider playing. I'm looking for some updates to this thread... so I'm looking for some helpers.